In the Spring of 1969, two plain clothes officers in San Francisco’s Mission District, Joseph Brodnick and Paul McGoran, approached seven Latino youths who were moving items into a home, and an altercation occurred after McGoran allegedly called the youths “wetbacks.” Brodnick was fatally shot with his partner’s .41 Magnum, and the youths were charged with murder. 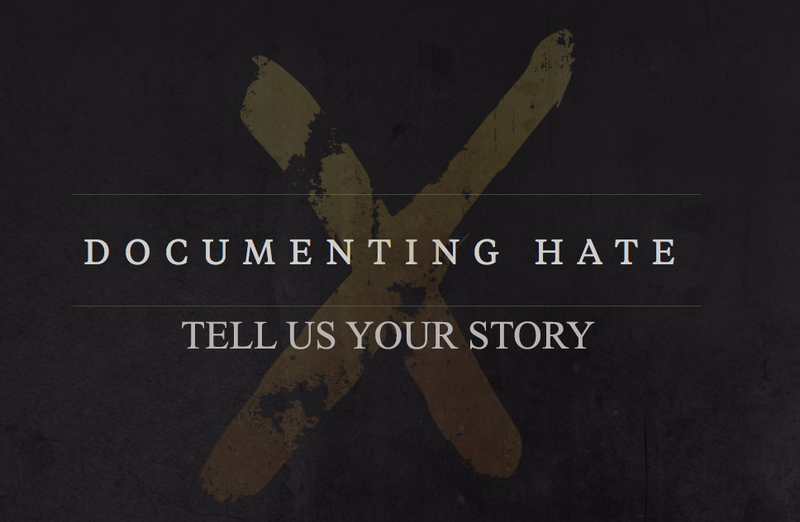 Over the course of their ensuing trial the group, who would come to be called “Los Siete De La Raza,” sparked a cultural movement within the community. Initially, the families of the accused sought legal counsel individually, but many of the lawyers they approached warned not to politicize the case. Seeking alternatives, Los Siete organizers Donna Amador and Oscar Rios (whose younger brother Jose Rios was one of the accused) travelled through the Southwest hoping to build support among leaders in the Chicano movement. 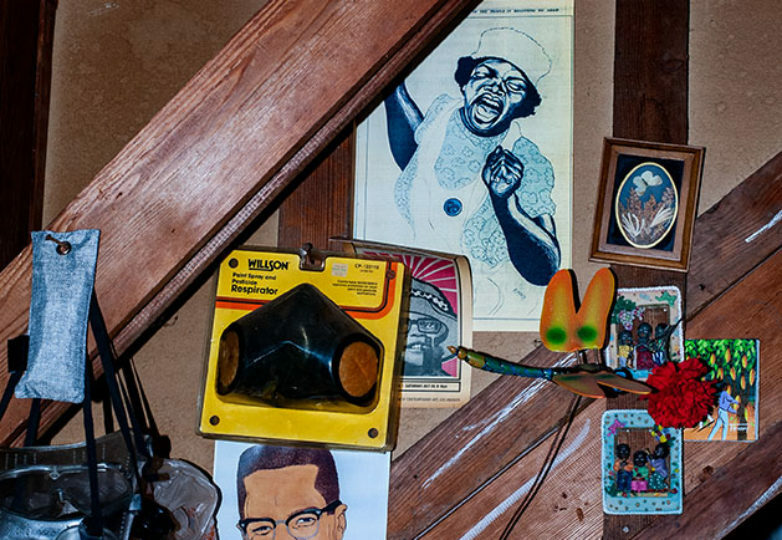 According to the 1972 book “Strictly Ghetto Property: The Story of Los Siete de la Raza” written by Marjorie Heins, their efforts proved futile. In the book, Oscar tells Heines that they travelled to Denver, New Mexico and Texas looking for help from these prominent Latino groups, but were scarcely able to raise any funds for their cause. They raised a total of $28 in Denver and came up empty handed in New Mexico after meeting with activist Reies Tijerina and Reies’ cousin, Pete Tijerina, who was the first executive director of the Mexican American Legal Defense and Educational Fund (which had in 1968 received a $2.2 million grant from the Ford Foundation). 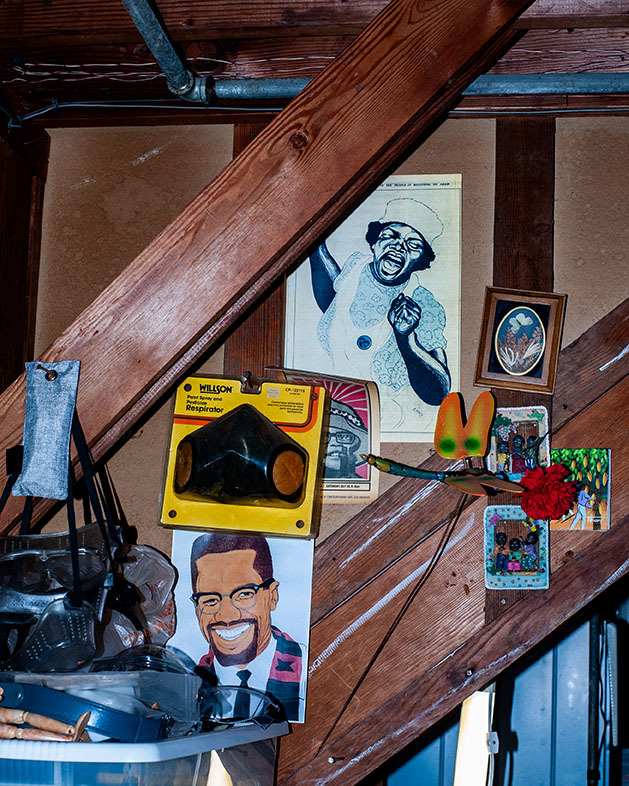 But across the Bay in Oakland, the Black Panthers were more than willing to help. 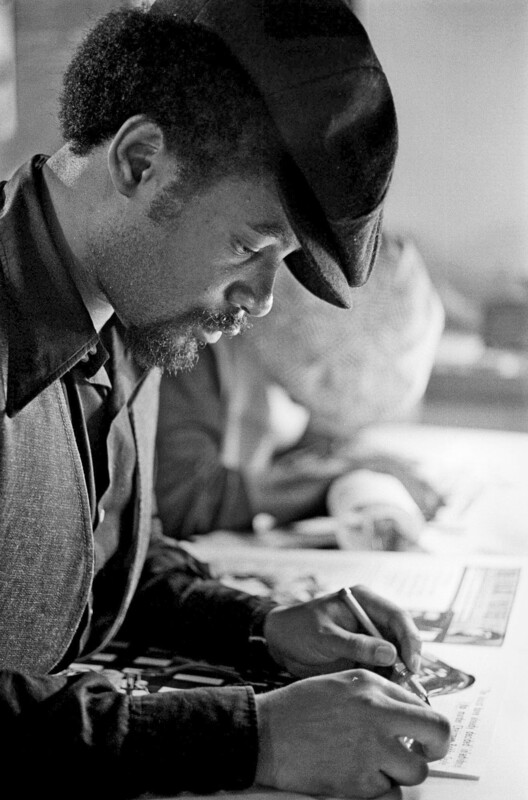 After becoming aware of Los Siete’s situation, The Black Panthers found the group an attorney, and eventually collaborated on various social programs. 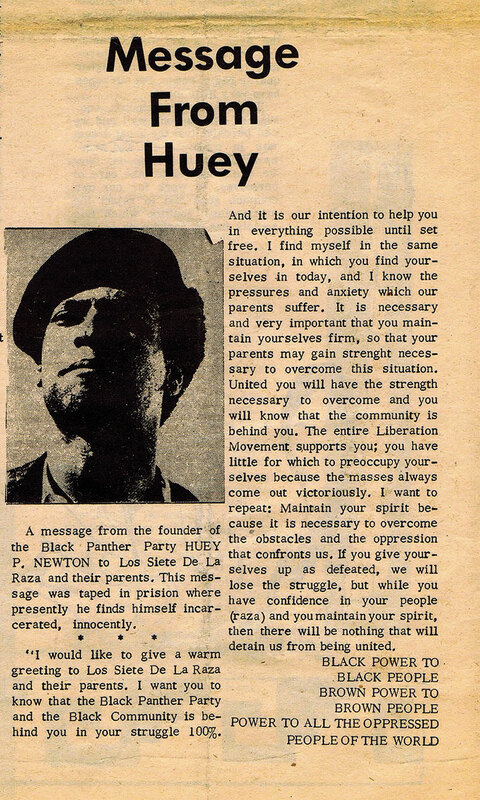 Huey Newton, the leader of the Black Panthers, even attended the trial and court hearings for Los Siete. 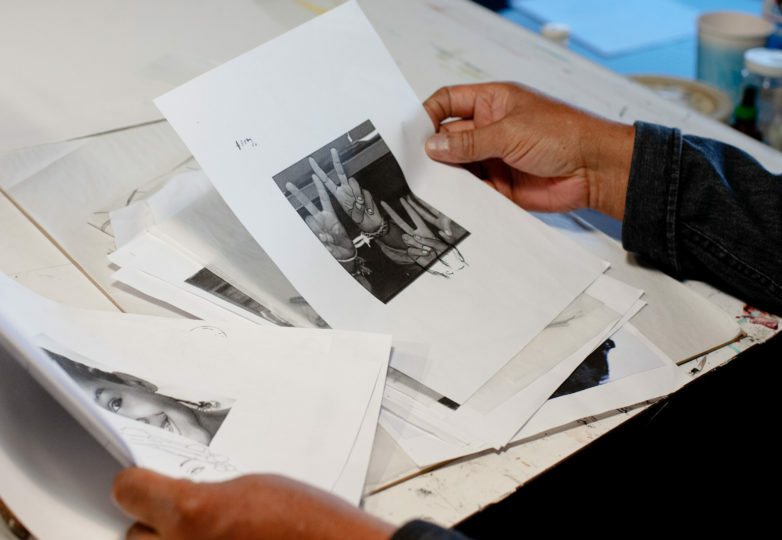 Los Siete took note of the Panthers’ self-published newspaper, “The Black Panther,” and decided to create something of their own. They eventually founded a publication in collaboration with the Panthers and named it Basta Ya!. 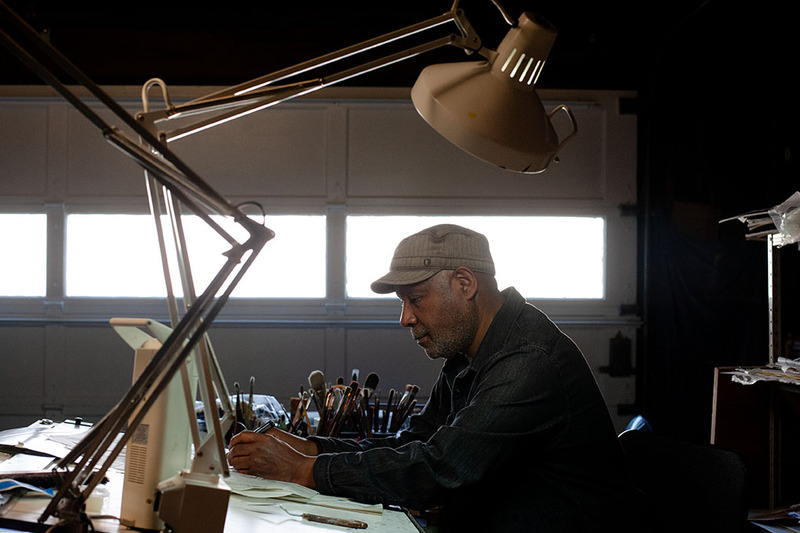 The members of Los Siete were inexperienced in publishing, so they reached out to the Panthers and received assistance from various members, including the Panthers’ Minister of Culture and art director, Emory Douglas. 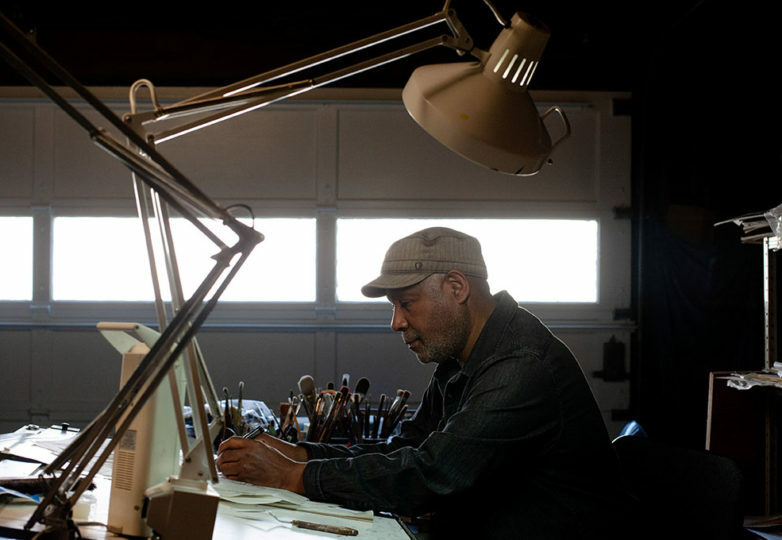 Douglas found his way into the group through the skills he learned studying commercial art and graphic design at City College of San Francisco. 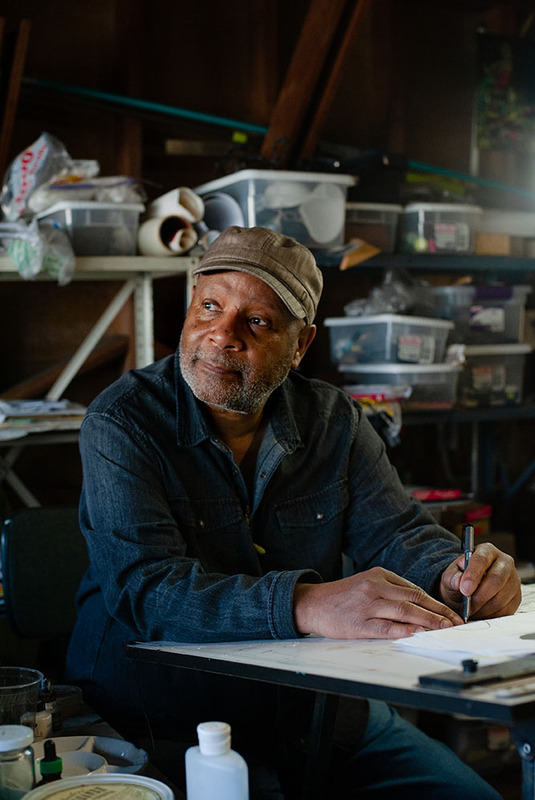 He had been involved with the Black Arts Movement (BAM)—the African American art and activist movement of the 1960s and ‘70s that emphasized self determination and racial pride—but after discovering the Black Panthers and the issues they were tackling, he wanted to help their fight. Douglass slowly worked his way into the group and was tasked with producing a poster for one of the group’s rallies. After proving his commitment, Douglas began helping with the their publication. 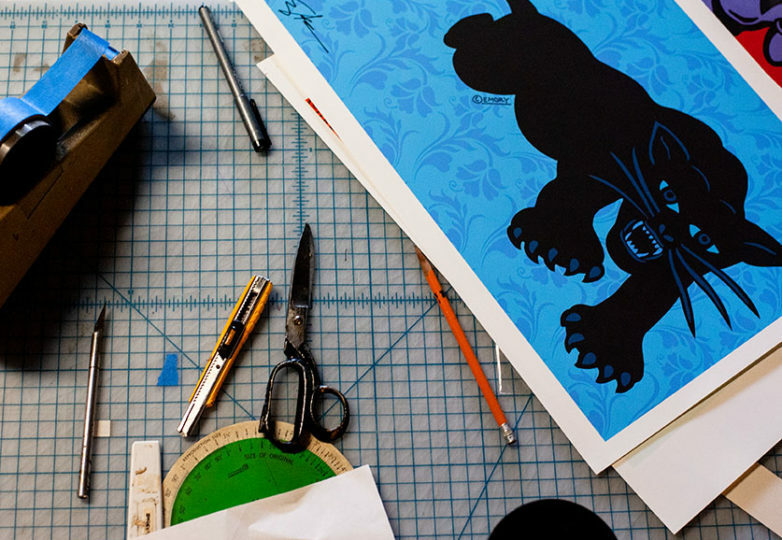 He would serve as their art director, providing the aesthetic direction of the paper. 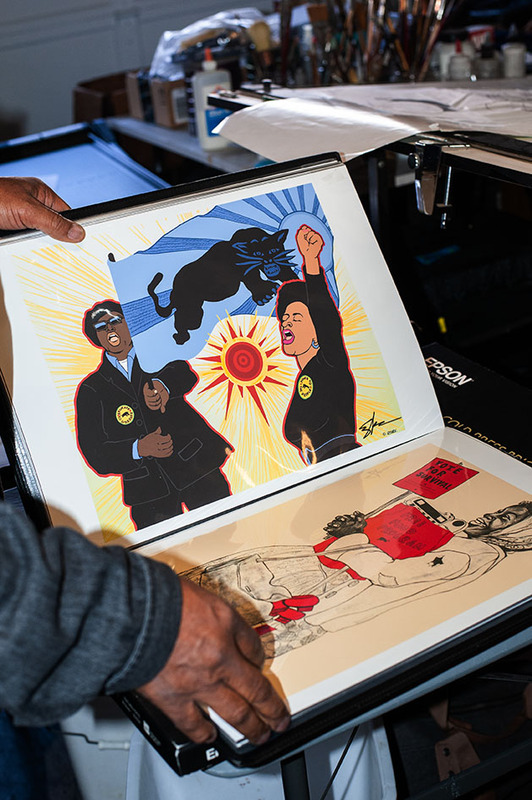 Prominent Los Siete members Yolanda M. Lopez and Donna Amador were given the opportunity to learn and work from the Black Panthers headquarters. Lopez and Amador named Douglas as one of the most helpful members in establishing the Basta Ya!. Douglas was able to show the two everything that went into publishing a paper and ensured they were able to effectively express their message. 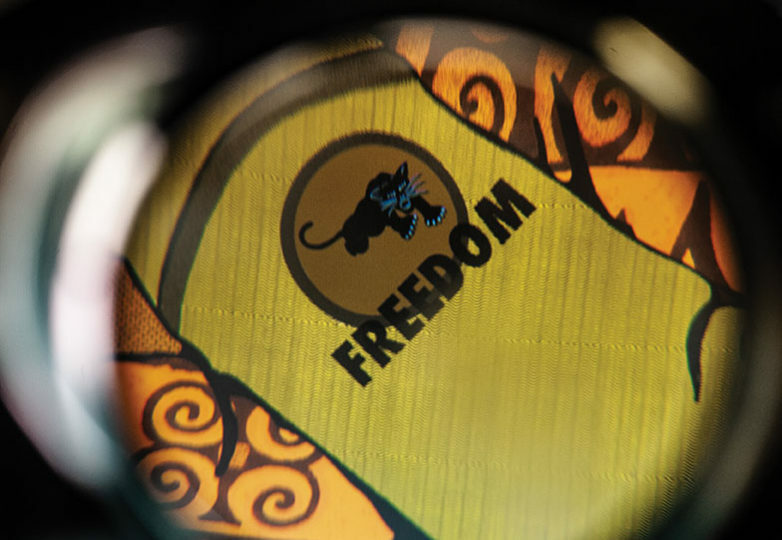 The two groups would produce several joint newspapers, The Black Panther on one side and Basta Ya! on the other. Despite internal conflict within their community (many saw the Panthers as too radical in their methods), Los Siete seized the opportunity to work with one of the most prominent social justice groups of the time. 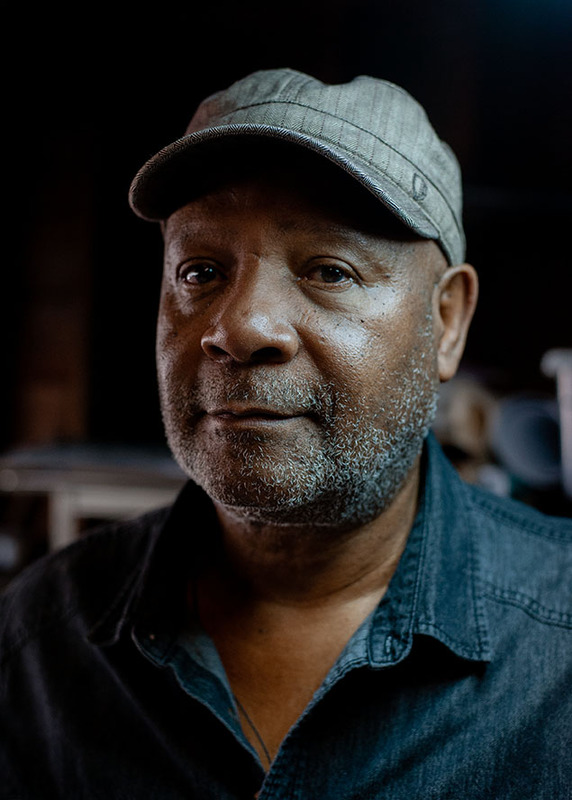 Today, it’s difficult to measure the impact that Douglas has left on social activism and community media. Although he still believes there is much more work to be done in tackling injustice, he’s proud to have left a legacy that today’s young activists can learn from. 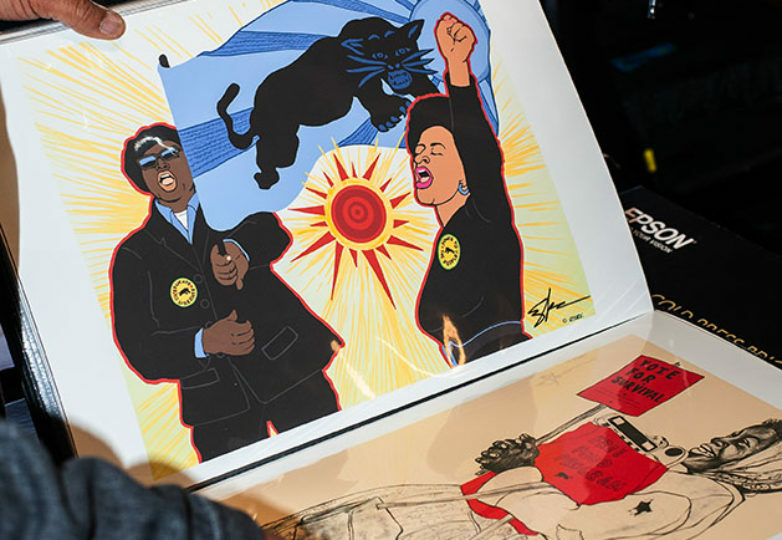 The Panthers not only provided Los Siete a platform via their newspaper, they also offered a space at rallies as well as legal representation from attorney Charles Garry.